I followed Gregor’s evolution within Debian because I used to be somewhat active in the Perl team. His case is exemplar because it shows that you don’t need to be an IT professional to join Debian and to make a difference. His QA page is impressive with hundreds of packages maintained and hundreds of non-maintainer uploads too. While he started out slowly, I remember meeting him at Debconf 7 in Edinburgh and after that he really got more implicated. Again a case of someone joining for technical reasons but getting more involved and staying there for social reasons! 🙂 Let’s jump into the interview and learn more about him. Gregor: I’m 41 years old, and I live in Innsbruck, Austria, in a shared apartment with a friend of mine. In my day job, I’m working at the regional addiction prevention agency, so I’m one of the few Debian guys who’s not an IT student or professional. I started maintaining packages in 2006, and I am a DD since April 2008. Gregor: After having used Debian on servers for some years, I finally switched to it on the desktop after some procrastinating. Soon afterwards I wanted to know more about the “making-of”, started to join mailing lists, filed bugs, and tried to learn packaging. So my starting point for joining Debian was my curiosity but what really helped me to find my way into the project was the support of the people who invited and helped me. Raphael: What’s your biggest achievement within Debian or Ubuntu? Gregor: I’m not sure I can name a single big achievement but I guess I can say that my contributions to the Debian Perl Group have helped to make and keep the team a success story. Raphael: The pkg-perl team seems to work very well. As an active member, can you explain us how it is organized? How do you explain its success? In particular it seems to be a great entry point for new contributors. Gregor: The team is huge, both in numbers of members and packages (over 2200). Since last DebConf we manage our source packages in git, we have 2 mailing lists and an IRC channel, and we manage to keep an overview by using PET, the Package Entropy Tracker. We hand out group membership/commit access quickly, and we try to mentor new contributors actively during their early times in the group. Some of them leave for other projects after some time, but many also stay and become DDs later. a bunch of relaxed people who are open to newcomers and try to help each other. For everyone interested in joining the Debian Perl Group, our Welcome page on the wiki is a good starting point. Gregor: Nothing overly exciting. What I should do is getting a newer JabRef into Debian (which involves packaging some new Java libraries — any takers?). And some Perl packages will also need a bit of work for the hardening build flags release goal (cf. #657853). Gregor: Inertia. While I really like the fact that Debian is a volunteer project, and that every contributor works when and on what they decide to work on, I get the feeling that Debian could do better in moving forward, innovating, taking decisions. I also think that more uniformity in managing source packages would make things easier; it’s quite amazing to see how many source formats, packaging helpers, patch systems, RCSs etc. are used all over the archive. I’m not advocating for mono-cultures, and I consider this diversity a strength in general, but having to find out first how this particular package works when preparing a bug fix can be annoying. On the bright side, I think that the myth “Debian and its mailing lists are mostly about flames” can be seen as dispelled in the meantime. Sure, sometimes the tone could be a bit more civil, but in general most of the interactions I’ve seen in the last years were friendly and helpful. IMO, the Debian Project consists of mostly nice and cooperative people, and that’s what makes it fun for me. Raphael: You’re one of the most dedicated participants to RCBW (Release Critical Bugs of the Week), an initiative to fix RC bugs every week. How much time do you spend on it? What would you advise to people who are considering to join the movement? Gregor: I got into the habit of fixing RC bugs after having been invited to my first Bug Squashing Party in Munich some years ago. During this weekend I saw that fixing RC bugs can be fun, is often not that difficult, and gives a warm fuzzy feeling 🙂 I can definitely recommend attending a BSP if one happens to be organized near you. After tasting blood at this first BSP I tried to continue looking at RC bugs, and I guess I spend something around half an hour per day on it. I usually blog about it once a week, in order to motivate others to join in. And joining is easy: just take a look at the tips people like Zack, Vorlon, or me have written. You don’t have to be a DD to help, many of my NMUs are based on patches that others kindly prepare and send to the BTS — kudos! Another nice aspect is that the RC bug list contains problems from different fields: general packaging problems, language-specific issues, policy violations, etc. So there’s something for everybody, and you don’t have to be an expert in all fields to fix a specific bug. What’s rewarding about fixing RC bugs is not only the feeling of accomplishment and the knowledge about having helped the next release — I also received quite a few “Thank you” mails from maintainers who were busy at that time and appreciated the help. Obviously, getting multi-arch and the hardening build flags as far as possible would be good. What I like is the idea of the time-based freeze, and I hope it will work out in June. And then I hope that the freeze will be shorter this time than during the last 2 releases. Too late for broad adoption in Wheezy but still: What constantly annoys me is the handling of conffiles during upgrades (when I want to keep changed values but at the same time want to add new variables). Config::Model seems to be the best idea so far for configuration upgrades but it’s not yet widely adopted. Gregor: There are many people in Debian I admire, too many to name them all. 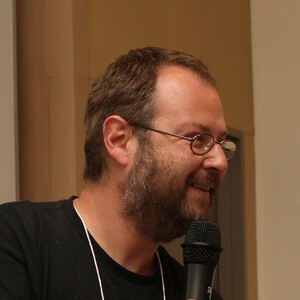 The first one that comes to my mind is Russ Allbery who not only does great work from lintian to Debian policy but who also sets a great example of communicating in a perfectly polite and respectful way even in heated discussions. Thank you to Gregor for the time spent answering my questions. I hope you enjoyed reading his answers as I did. Note that older interviews are indexed on wiki.debian.org/PeopleBehindDebian. Yay gregoa! He is a great person and one of the many reasons I think Debian is such a great distro. not sure what you could do about this its probably some weirdness on hotmails part, but i subscribed to your blog and every post i get gets flagged by hotmail.com as suspicious. I add the address its sent from to my whitelist every time, but each new post its flagged again.